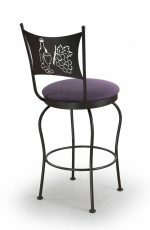 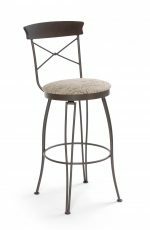 Trica bar stools are made with long-lasting steel frames, are eco-friendly, and offer designs from ultra-contemporary to traditional. 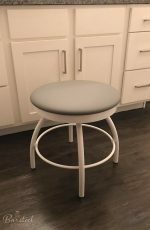 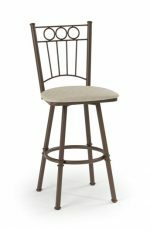 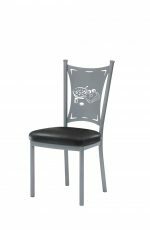 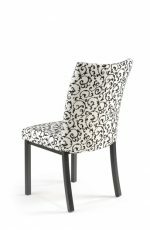 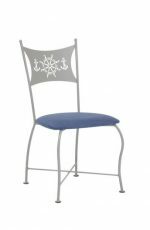 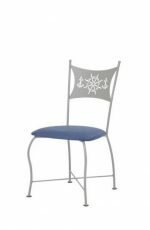 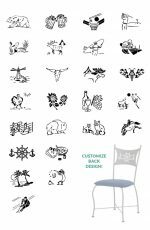 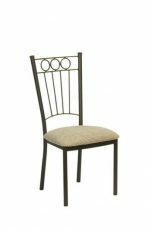 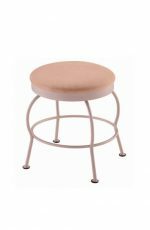 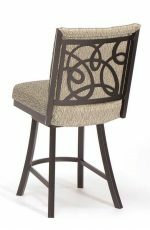 You can customize these stools by choosing your own fabric, metal finish, wood tone, and tons more! 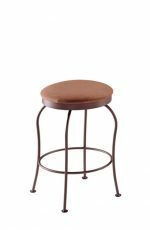 Choose Trica bar stools for comfort and durability that cannot be outmatched. 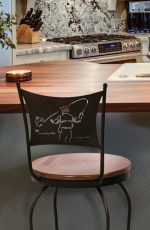 Usually ships within 3-4 weeks. 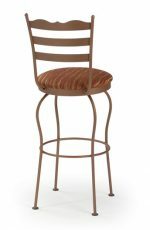 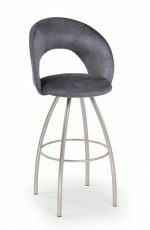 Looking for the perfect barstool? 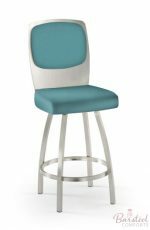 With Trica, you can customize your barstool’s seat, frame, back style, and seat height. 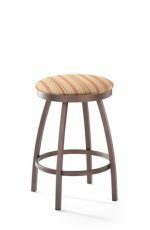 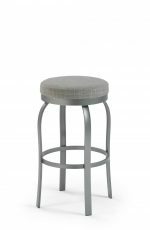 Many Trica bar stools give you a choice of a traditional wooden seat or a plush padded cushion. 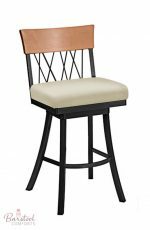 Choose the color of the wood’s finish or the cushion’s thickness and upholstery. 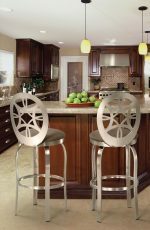 You can also choose your favorite type of swivel, either a traditional swivel with a 360-degree spin or a spring-action memory swivel. 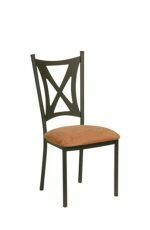 Choose your favorite color powder-coated finish. 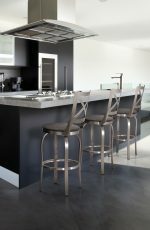 All of Trica’s finishes are long-lasting and chip-resistant. 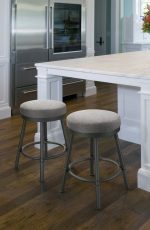 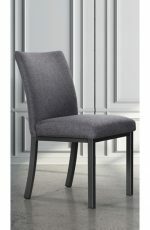 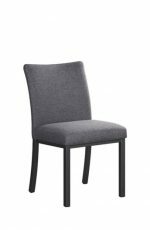 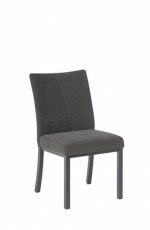 For stools with standalone padded backs, you can choose your upholstery. 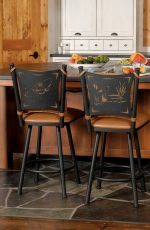 For wooden backs, you can choose your finish. 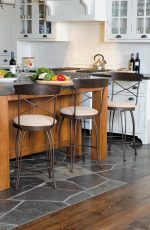 Some stools with metal backs even let you choose your favorite laser cut design! 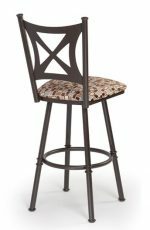 Last step: Make your barstool the perfect height. 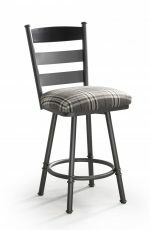 The measurements you see here and throughout the site refer to the height from floor to seat. 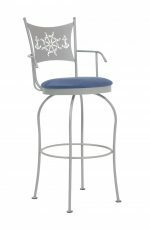 Trica offers barstools in counter height (26”), bar height (30”) and spectator height (34”). 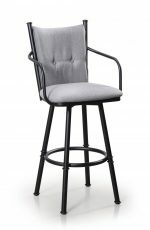 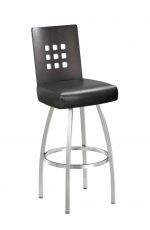 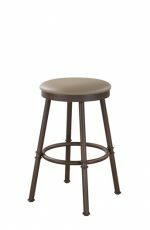 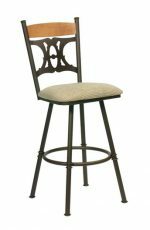 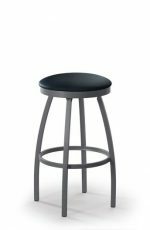 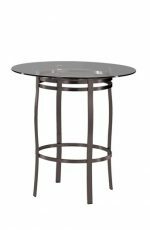 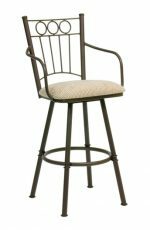 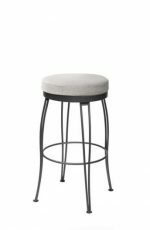 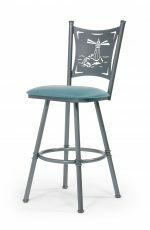 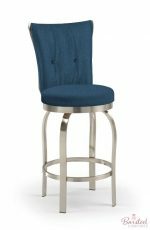 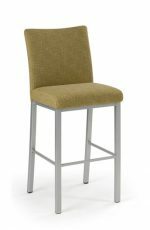 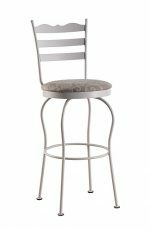 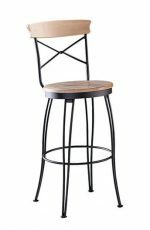 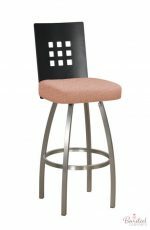 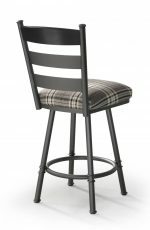 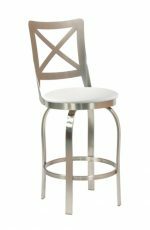 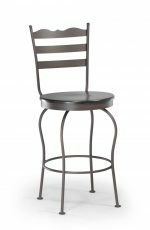 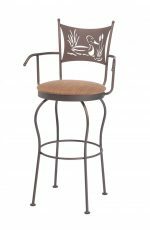 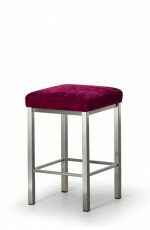 All Trica bar stools have a heavy-duty steel frame that supports a tremendous amount of weight. 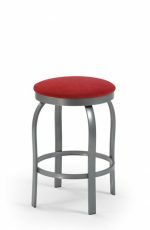 These stools are designed to provide years of comfort, either in your home or in your business. 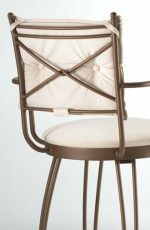 Every joint of the frame is fully welded, not screwed, to give you maximum strength and stability. 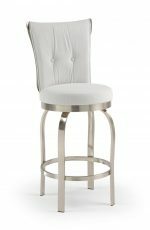 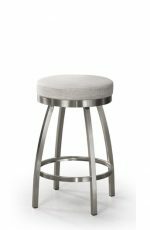 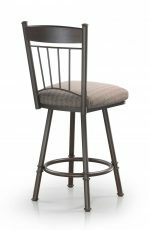 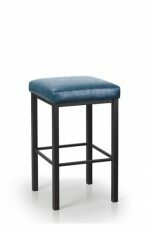 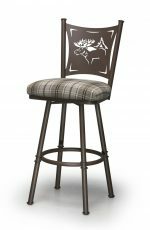 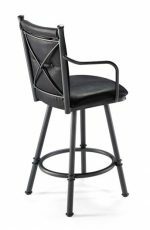 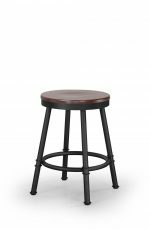 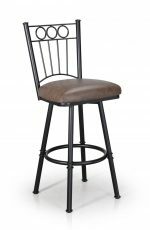 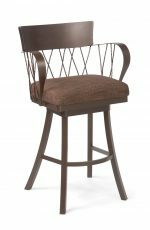 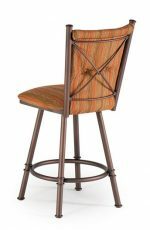 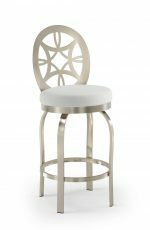 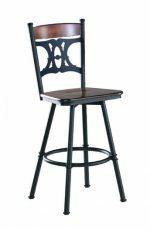 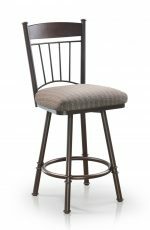 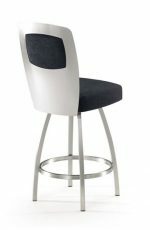 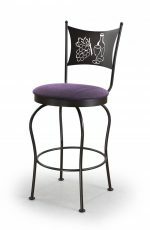 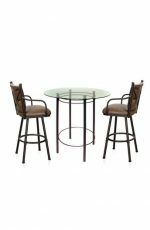 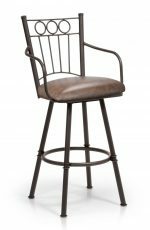 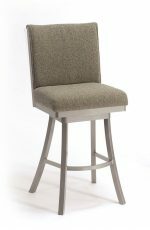 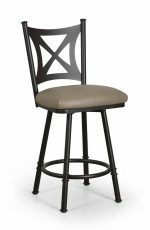 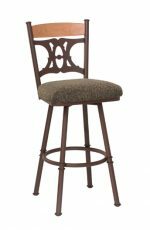 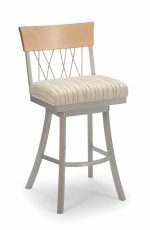 Trica bar stools are crafted with pride in North America, backed by a 10-year warranty on the frame. 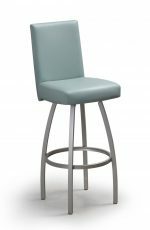 Trica bar stools are built sustainably to reduce the environmental impact of the manufacturing process. 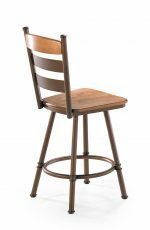 Wood is sourced from carefully managed forests in Quebec that are owned by the Canadian government. 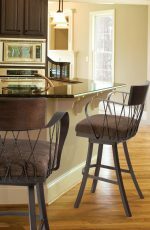 The low-level logging that provides Trica’s wood actually helps increase the strength of the forest. 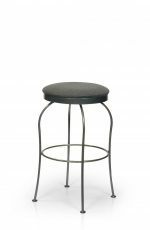 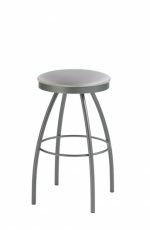 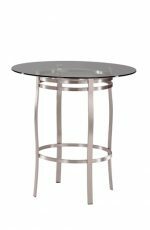 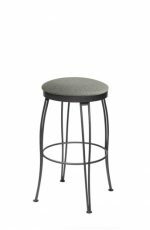 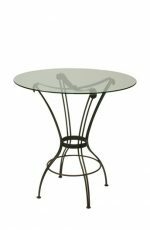 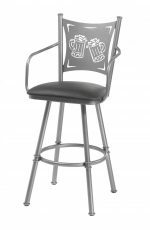 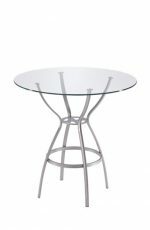 Trica bar stools use up to 80% recycled steel, aluminum, and plastic. 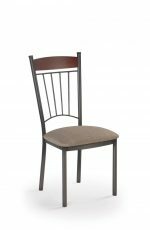 Trica also recycles 100% of the scrap generated during manufacturing, plus all of its office’s paper, cardboard, and glass. 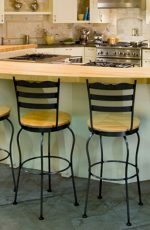 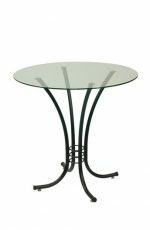 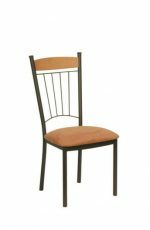 Trica’s durable, chip-resistant finishes use a lead-free powder coating that doesn’t release harmful chemical vapors like many other furniture finishes. 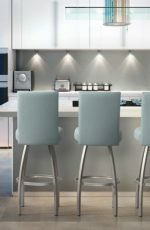 You can bring brand-new Trica furniture into your home with confidence that your atmosphere will stay safe and healthy. 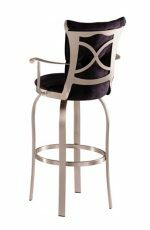 Trica offers fashionable styles for any décor, from ultra-contemporary to traditional. 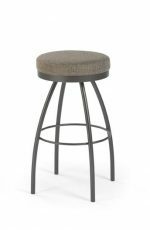 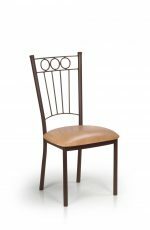 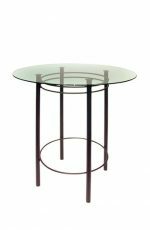 Choose from wood ladderback stools, fashion-forward Italian designs, minimalist modern barstools and more.